I have dreamt of doing Bungy Jumping since my childhood and finally i did it on 4-Nov-2011 at the age of 25. Experience was amazing and breathtaking. I'm not scared much while doing the jump, but when i saw my jump video, i questioned myself whether i'm the person who did that jump. Also three cheers for 'Jumpin Heights' in Rishikesh, for organizing India's best Extreme adventure zone. I did both Bungy jump and flying fox @ Jumpin heights and Bungy Jump is the best between them. I must admit that, I don't have enough guts to do bungy jump, but my passion towards it make me jump without being scared. Even few minutes before the jump, i don't have any scary feeling, but when i'm approaching the edge of the platform for the jump, my heart started beating really fast and i'm speechless after seeing the depth and valleys around the bungy platform. Jump will be completed within seconds and after the Jump, the Jumpers are lowered down to a drop zone in the river which has only 2 ft of water. The crew at the drop zone will put 'Got Guts' badge, then we have to trek all the way to the top to view our pictures and videos. Bungy Jump: Jumpin heights in Rishikesh is the only place in India, where Bungy jump can be done from a fixed platform. Even though many companies in India organize Bungy jumps from cranes, it is not recommended to do bungy jump there, as they don't concentrate much on safety and they lack experience unlike that of crew at Jumpin Heights. At Jumpin Heights, they have built a Cantilever platform over looking a rocky river HALL, a tributary of River Ganga. At Jumpin Heights, in order to jump, one has to go through four safety checks, where they will thoroughly check all the safety equipment you are wearing, and if every thing is fine, then they will allow you to jump. They will tie rubber chords to your ankle and also another backup rope around your waist. The bungy cord also known as shock cord, has the capability to absorb all the shocks, vibrations while jumping, and that is the reason why the vibrations won't reach our body and allow us to complete our jump with out having any side effects. Unless we jump in weird way, we won't face any injuries or suffer with pains after doing the bungy jump. Flying Fox: Jumpin Heights has the Asia's Longest Flying fox. They have constructed two big platforms which are 1km a part, one at an altitude of 120 mt, where the Flying fox activity starts. You are harnessed to the wire and on release by gravity roll down the wire up to 7 mtrs above the river level and then going up. Finally returning & settling down at the lowest point. Accelerate up to speeds of 160 kmph. Feel the air gushing past. You are pulled back to the launch platform by a retrieval mechanism. I really enjoyed the flying fox in Jumpin Heights, travelling @ 160 kmph for 1KM, passing through beautiful valley and rivers. It will take almost 10 mins to complete the entire activity. They have a fixed platform for the Flying fox and it is located few meters away uphill from the Jumpin Heights office. Flying fox can be done alone or two persons at a time. Giant Swing: We didn't do swing at Jumpin Heights, as we are not much interested in that. The swing activity is also done from the same Bungy Platform (83 mts), and you are fitted with a seat & chest harness which is connected to the fixed wire ropes. On jump, after a initial free fall, the ropes smoothly swing you like a pendulum. After you have done with your activities, you can relax at their cafeteria and can enjoy watching videos of your jump and you can buy the video and photographs too. For Bungy jump alone they will charge 700 INR for the video and 450 INR for Flying fox video. Most important thing to remember while leaving their office is to collect 'Dare to Jump' certificates. Location: It is located at Mohan Chatti, which is 15 kms from Lakshman Jhula Rishikesh, in Uttarakhand State. Reaching there: Jumpin heights have their marketing office at Tapovan, Near Lakshman Jhula police station, Rishikesh. From there, they have a coach by which we can reach Bungy location at Mohan chatti (around 15km from lakshmanjhula). They will charge 200 INR for the round trip in their coach. Departure Timings from our Sales office at Tapovan: 9.30 AM, 10.30 AM, 11.30 AM, 12.30 PM, 1.30 PM, 2.30 PM. It’s normally a 4 hr round about trip. Technical crew: They have technically qualified extreme adventure sports experts with years of experience of operating these sports in New Zealand, the country which has commercialized the BUNGY. Safety: They have in place a number of checks and counter checks and very thorough inspection schedules to ensure a high level of safety standards. David Allardice of New Zealand will be conducting external audits for safety practices and subsequently an external Agency like Bureau Veritas, an internationally recognized auditing company also carry out the audits for equipment maintenance and processes. These audits would be conducted twice a year. Weight: For Bungy Jump you should be minimum 35 kg and maximum 110 kg. And for flying fox, minimum is 20 kg and maximum is 130 kg. 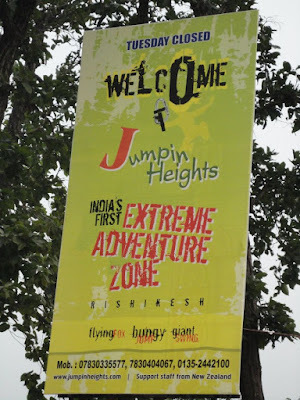 For more information visit www.jumpinheights.com or contact them @ 7830404067, 7830335577 & 0135-2442100. Awesome Jump Buddy .. 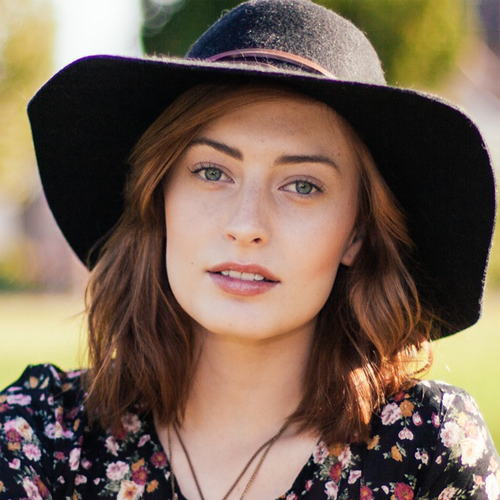 I wanted to ask you if after the jump you felt any dizziness , back pain etc? Thanks man, for all the details. Which days n month i come for bungy jump . You won't get any back pain. The bungy rope will absorb all the shock and it prevents the shock, vibration reaching you.